We use text messages for practically everything. But we find that most of the times, our conversation stops or gets paused due to various application bugs. 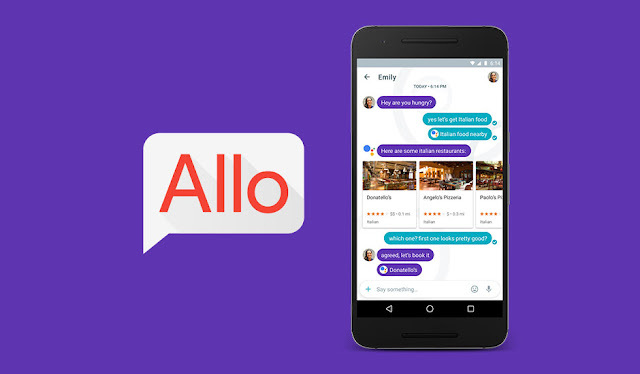 So, the greatest search engine to exist has launched a new messaging app called Google Allo , through which you will be able to message your pals without any hassle or errors. The instant messaging app was launched on September 21, 2016 and is available to both android and iOS operating systems. Respond quickly with Smart Reply. The best and most important feature of this app is it's instant and smart relay. You can keep your conversation going on in a smart way. With just a tap, you will be able to reply to your messages. If your pal sends a picture then the smart relay with quickly respond with a picture as well. It's the newest way of responding and the best way to keep the conversation going. Express yourself with photos, emojis, stickers, etc. Chat is not the only feature in Google Allo. You can customize your texts, use unique emojis, and enjoy 25 different custom sticker packs. You can also edit your photos with different effects before you send them. Another beautiful feature is the personal Google Assistant in Google Allo, which is Google's equivalent of Apple's Siri. With your assistant, you can ask questions and get several tasks done. You can also bring your Google Assistant in chat by writing to @google. Here are a few more ways in which Google Assistant can help you. Get answers regarding various information. You can also tract information about the weather, traffic, flight details,etc. Have fun asking for funny youtube videos on chat.